The sequel to 2014’s Souls-like Lords of the Fallen may be a while off, seemingly due to developers CI Games lowering their sights after mediocre sales of Sniper Ghost Warrior 3. For more epic quests and monsters to slay, venture into the best RPGs on PC. He’s likely referring to comments made by CI’s boss Marek Tymiñski last week – in a note to press, Tymiñski admitted that positioning Sniper Ghost Warrior 3 as a triple-A game “was a big mistake” given the size of their team and their initial timeframe. “It took us away from what we could have done great. Instead we spent too much effort trying to catch up with other triple-A titles in terms of their production values.” When it finally released after several delays, Sniper Ghost Warrior 3 was riddled with technical issues and lacked its promised multiplayer mode. And yet, Tymiñski later says it has “a very small team” attached to it, and that CI Games are looking to partner with other studios. Top of the list are Deck 13, the German studio who just released The Surge and co-developed the original Lords of the Fallen. 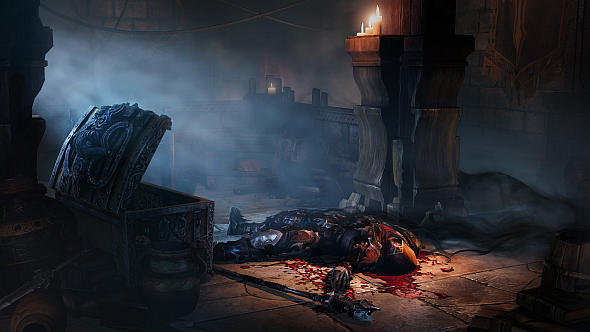 Tymiñski says “we really did a lot” on Lords of the Fallen 2, and is optimistic about it arriving within two years. That’s somewhat at odds with Gop’s comments. He says he’s been working on it for almost two years and hasn’t seen it “leave the concept/vision stage,” as CI were prioritising Sniper Ghost Warrior 3. That bombed, and, as he puts it, “here we are.” Moreover, CI’s release last week also announced a new, more focused tactical shooter, which will compete further for their limited resources. Lords of the Fallen fans had better hope Deck 13 are interested.